Which chapter should you join? You can choose a chapter near your home or near your job. 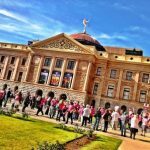 There are several chapters in the Phoenix area; you may want to attend a meeting or two at each chapter and then make up your mind. See the list below to help you decide. And if you don’t see a chapter in your area, fill out the form below to let us know you want one! Want to change your chapter? If you didn’t select a chapter when you joined or want to move to a different chapter, you can do that on the our Membership page. Want a chapter in your area or need to restart one? Our new State Co-Coordinators for Chapter Development are here to help you form or reconvene an Arizona NOW chapter. We are growing and we want you! To find out more, simply fill in the form below. This chapter covers Mesa, Chandler, Tempe, and Gilbert. Fill out the form below to ask about meeting specifics. Read this blast from the past! This chapter covers the areas south of Camelback Road, both east and west, excluding all of Scottsdale and the communities served by Sun Cities/West Valley NOW and East Valley NOW. Meetings are on the 4th Sunday of each month at 10 a.m. at Chartreuse/Hazel & Violet 1301 NW Grand Avenue Phoenix, AZ 85007. 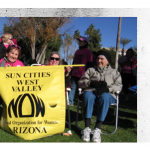 This chapter covers the area north of Camelback Road, both east and west, including all of Scottsdale but excluding communities served by Sun Cities/West Valley NOW and East Valley NOW. We’d love to help you reorganize this chapter—fill out the form below to let us you know you’re interested! This chapter covers Sun City, Surprise, Peoria, Glendale, Goodyear, Buckeye, and anywhere west of Phoenix. Meetings are at 1 p.m. on the first Wednesday at the Unitarian Universalist Church, 17540 N. Avenue of the Arts (north of Bell Rd) in Surprise. 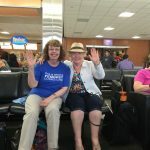 This newly reconvened chapter covers Tucson, and includes Casa Grande, Yuma, Green Valley, Sierra Vista, Bisbee, and all of Southern Arizona. This newly reconvened chapter covers the Flagstaff area. Meetings have been held in the Northern Arizona University Women’s and Gender Studies office, SBS West (Building 70), Suite 100. 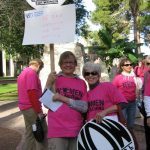 For information on future meetings, please contact Dorene Campbell and Salie Travis, Co-Coordinators for Chapter Development AZ NOW. 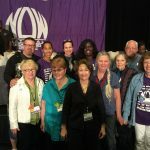 The AZ NOW State Board (AZNOW.org) is hereby notifying all members of realignment of the Phoenix chapters of AZ NOW, and updating the contact information for all NOW chapters within the State of Arizona. We’ll get back to you as soon we can. Thanks!